31-W Insulation specializes in garage door installation and other home improvement services in Knoxville and the surrounding communities of Tennessee. 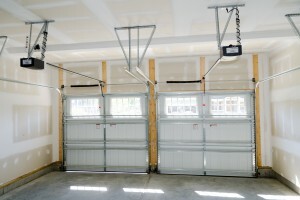 If your garage door is faded, sagging, or no longer functioning, you’ve come to the right place. We can help you pick out a brand new door and then install it with expert care and precision. Not only will you enjoy the benefits of a new, functional garage door, but you’ll also increase your home’s curb appeal. No matter what style or color you choose, your new garage door will be carefully crafted and expertly installed with heavy-duty hardware so that it’ll keep working for years to come. Our professionals are factory trained and have years of experience installing garage doors safely and accurately so you know the job will be done right. Plus, you’ll have peace of mind knowing your entire investment is protected by a manufacturer warranty. When it comes to your home improvement needs, we are committed to your satisfaction. Contact 31-W Insulation today to learn more about the garage door installation and other home improvement services we offer to Knoxville, TN, homeowners.